I love butternut squash and this is a super easy way to serve it! 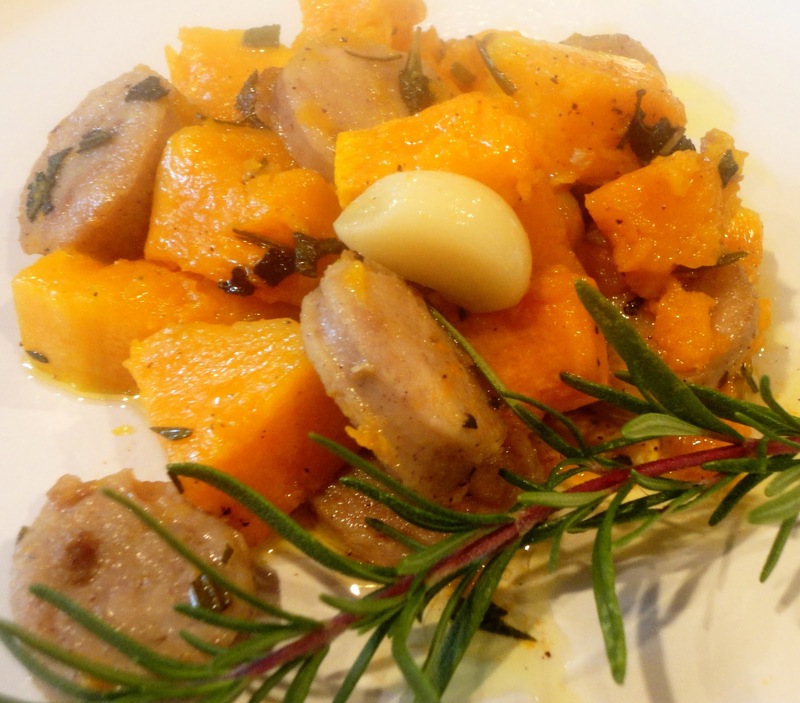 The melding of all the different flavors of the fresh herbs and the sweet apple sausage is the perfect fall dish. And you will not believe the aroma from your oven as it roasts! This can be served as a side dish or as a main dish accompanied by a fresh salad of greens topped with apples or pears, Gorgonzola, toasted pecans, a little bacon and a white balsamic or raspberry vinaigrette! Toss all ingredients together and mix well. Place in roasting pan and place in an oven heated to 350 degrees F.
Roast for 30-40 minutes stirring every 10-15 minutes.